Spotted outside my flat. 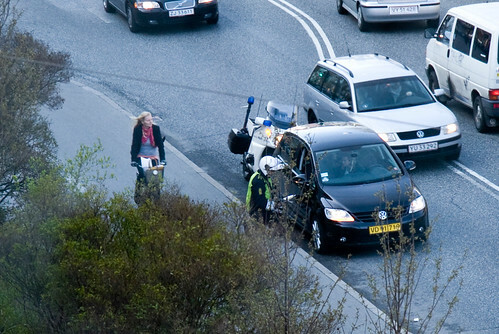 A motorcycle cop ticketing a motorist for something. All while a Copenhagener cycles gracefully past.